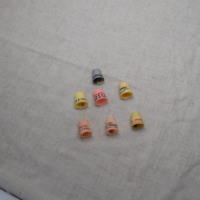 Seven thimbles featuring the names of Geo M. Vanderhill; MB Overtaker; Lester E. Collins; Howarth Greenning; and William D. Conway all of whom ran for political office in local elections in Springfield, IL. These individuals evidently ran for County Judge, County Clerk, Mayor, and State Representative. 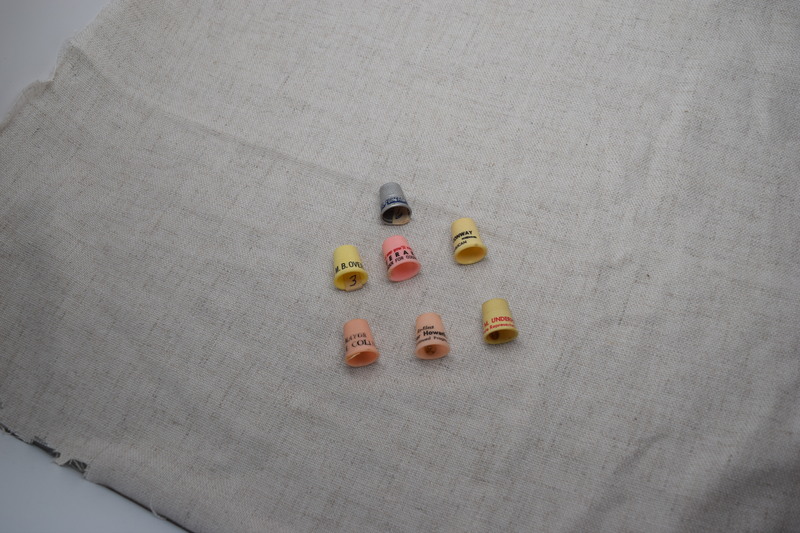 “Seven Campaign Thimbles,” UIS History Harvest, accessed April 22, 2019, http://uishistharv1.uis.edu/items/show/180.